Wormwood tea is an herbal infusion that has a long history of treating intestinal problems. This herb has had a bad reputation because of the alcoholic beverage Absinthe is derive from its leaves and flowers. However, for years this infusion has been used as an herbal remedy for a number of ailments, not just expelling worms. As long as great care is taken, wormwood tea may be useful and it is certainly a very interesting herb to learn about. Come and read all about this digestive herbal tea! Wormwood, in Latin Artemisia absinthium, is a perennial shrub-like herb that is native to temperate regions of Europe, northern Africa and western Asia. You may also find it under other common names such as green ginger, madderwort, sagewort, wermut, amoise and absinthe. The name wormwood actually comes from its ancient use for expelling intestinal worms. The Latin name Absinthium goes back to Ancient Greece, it could refer to “enjoyable” or it could refer to the bitter nature of the alcoholic drink that has been derived from the wormwood leaves and flowers. 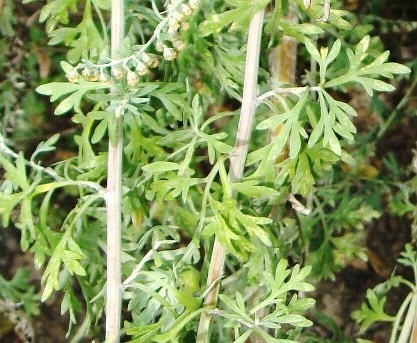 Wormwood is an aromatic perennial shrub that reaches from 40cm to about 1 meter at most in height, withstanding droughts and thriving in dry soils, on rocky slopes and along footpaths. Its stems and leaves are silvery-green covered in delicate thin hairs. Its small tubular flowers are yellow, blooming in mid-summer. The plant produces an unpleasant smell that helps to repel insects. When the dried leaves are crushed they are very aromatic and very bitter in flavor. Wormwood tea has a long history of use: ancient Egyptians considered this infusion as an antiseptic tonic, ideal for treating fevers. They would also use it for helping women deal with menstrual problems. Ancient Greeks and Romans also valued this herbal infusion for its cleansing and detoxifying properties. In particular, these peoples believed that wormwood tea could counteract the poisonous effects of herbs like hemlock. As time progressed, in the Middle Ages this tea was used as a form of clearing the intestines of tapeworm and strengthening the digestive tract in the process. 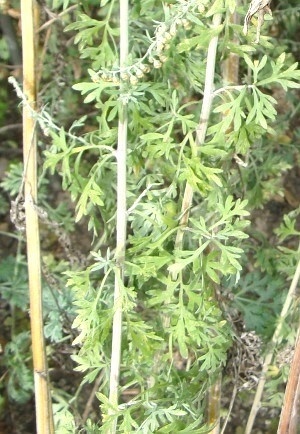 Wormwood began being used as an ingredient for alcoholic beverage, the main ingredient in the drink absinthe, a dangerous beverage that could result in death. It was also used to flavor wines, vermouth and as a substitute for hops in beer production in 18th century England. 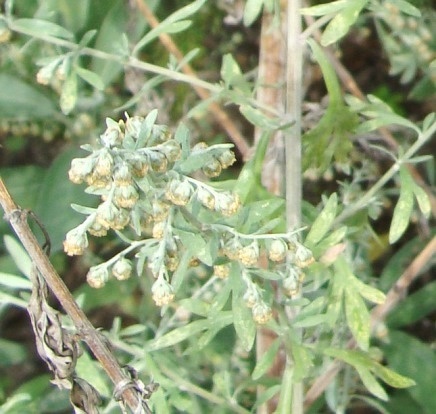 Today wormwood is still used in liquors and wines, valued for its bitter flavor, but most of these drinks are considered toxic and there are warnings that they could cause dependency, absinthe in particular. Some people still appreciate this herbal tea for its health benefits. Used correctly and under proper medical supervision, there may be important benefits that may be derived from this tea. As an infusion this herb may be used to protect plants from insects. 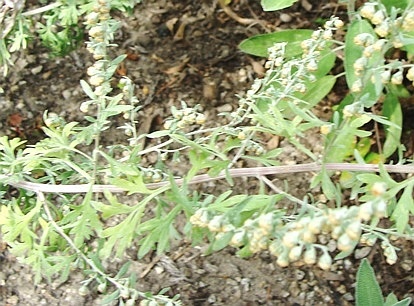 The wormwood plant itself can also be used as a companion plant in the garden because it inhibits the growth of weeds. Wormwood is a herb that contains a number of elements such a thujone, malic and succinic acids, absinthin, tannins, resins and starch. It also contains flavonoids, inulin and silica, among other elements. Let's take a look at the most important benefits of this herbal tea. The most important benefit of wormwood tea is its ability to help strengthen your digestion. It is a great tonic for your stomach, keeping it healthy and boosting your gastric juices to fight off indigestion caused by a sluggish stomach. Drink a cup of this tea if you tend to suffer from heartburn, acid reflux, mild gastritis or other gastric pains. The exception is gastric ulcers, as these may worsen from the increased stomach juices and bile flow. By improving your digestive process, wormwood tea may help to stimulate your appetite. It is said the the bitter components of this tea act on your taste buds sending signals from the mouth to the stomach increasing digestive enzymes and stomach acids. 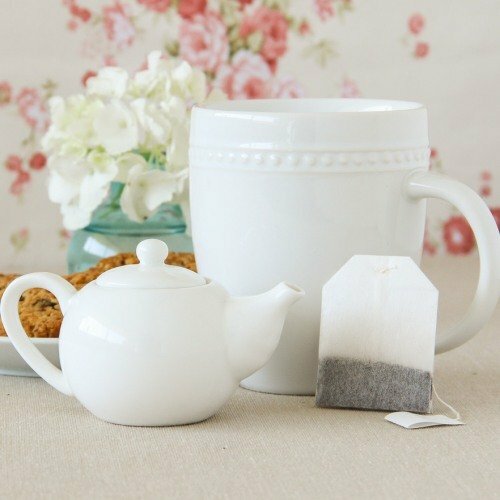 Although this herbal tea increases your appetite, it takes away the craving for chocolate. The bitter components in wormwood satisfy your need for the bitter notes of chocolate, particularly the darker kind. A wormwood infusion may also help improve your intestinal health. With your stomach back in working order, drinking this tea could also help ease that griping pain that comes with colic, bloating and excessive wind. Wormwood tea is often used to help clear away fungus, parasites and worms that may be lingering in your intestinal tract. It is said to clear and strengthen your digestive system, allowing your body to better absorb nutrients. This could be quite useful when suffering from anemia. Drinking wormwood tea may be a form of protecting your liver. It is said to help your body to expel toxins that stress the liver, bringing relief from liver ailments such as jaundice and hepatitis, while protecting it from future issues. Wormwood tea may bring with it the increase of sexual desire. As you drink this tea to help sort out liver problems, it may also sort out hormonal imbalances that could be at the heart of a sexual dysfunction. Wormwood tea may be used by women who need help regulating their period. by improving the liver, this tea has a positive action on the production of hormones. Drinking this infusion may also have a diuretic effect on your body and reduce liquid retention that may occur during menstruation. Wormwood tea may be considered a mild sedative, producing a calming effect on the nervous system. Its detox action helps your body to return to a healthy balance, benefiting those who suffer from mild forms of depression and anxiety. It may also help relax your muscles, soothing pain and allowing you to rest better after a hard and tiring day. Applying this tea as a compress may also reduce the pain associated with rheumatic joints. Drinking an infusion made with wormwood may improve your circulation, stimulating the cardiac function. However, if you are taking any medication for the heart, then speak to your doctor before drinking this tea. The detox action of this tea could also boost your immune system, allowing your body to build natural defenses. At the same time, it could also help restore your strength after a long period of illness. The liver may be overworked when you have to take certain types of medication. Wormwood tea is said to have strong antimicrobial, antibacterial and anti-fungal activity. So when you catch a cold or running a fever, try drinking it to expel the toxins that are attacking your body and causing you to feel ill. It may lower your temperature and allow you to breathe better. You may use a wormwood infusion on your skin to clean injuries, possibly preventing infections. It can be useful for bruises and insect bites, helping to speed up recovery time and healthy scaring. Its soothing action may bring relief to irritated skin from contact dermatitis. Just make sure to try it on a small portion of your skin first. If your injury is a bit more serious and you’ve sprained something or strained a muscle, you may try a warm compress of wormwood tea to help clear inflammation. Wormwood tea may be beneficial for you, but it is a herb that requires great care when using. It is important to become familiar with its potential side effects and to talk to a doctor when you are thinking of using this tea to have properly dosed for you. Wormwood infusions should not be taken in large amounts or for long periods of time. Taking too much of this tea could not only cause dependency, but there is the potential of causing damage to both your brain and your nervous system. This herb contains thujone, a chemical that is responsible for causing neurotoxicity. It is said to be perfectly safe when taken in small amounts, but may become dangerous if you overindulge. It may cause convulsions, hallucinations, and dementia, and even in death. Due to its psychoactive potential it is very important to have a professional study your particular case and establish what the right amount is for you. In general, a person should drink at most 3 cups per day for no more than 4 weeks, but this should be adapted to your weight and health situation. Other symptoms of toxicity associated with too much wormwood tea, could be nausea, vomiting, insomnia, restlessness and convulsions or seizures. If the situation worsens, it may cause renal failure, so be careful. A sign of an allergic reaction when applying this tea topically is a rash or dermatitis. if you experience this, then it is best to stop using this herbal tea on your skin. Note that if you are allergic to ragweed, marigolds or daisies, there is a good chance that you are allergic to this plant as well. In some particular cases, this tea is not safe to take even in small amounts because it may enhance the severity of some health issues you may have. If you have a mental health problem, then it is best not to drink this tea, particularly if you are on medication that could interact with wormwood. If you have a gastric ulcer, drinking this tea could increase the pain you feel in your stomach instead of soothing your digestive pains. Wormwood tea boosts your digestion by increasing gastric fluids, something that could make your ulcer worse. It is best to avoid this tea if you are pregnant or breastfeeding. In this first case, this tea could stimulate your uterus and prove dangerous for your baby. When breastfeeding it is expected that some of the chemical components could pass on to your baby in uncontrolled amounts. Are you taking medication to prevent seizures or epilepsy? If so, the presence of thujone in wormwood could interact with the medication. Even in cases where you suffer from this disorder, but are not on regular medication, this tea could increase the chances of an episode. Now it's time to brew a cup of this herbal tea. Let's head to the kitchen and learn how to make wormwood tea. 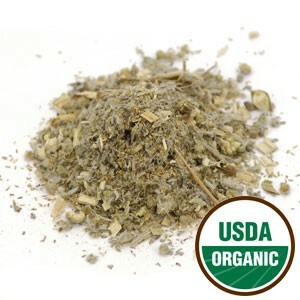 Wormwood tea is made with the aerial or above ground parts of the wormwood plant. This includes leaves, stems and flowering parts. The dried herb should be crushed, so it is fine to use a powdered form of wormwood, too. Start by placing about 1/2 to 1 teaspoon of crushed dried wormwood per cup of water in a teapot. Heat water in a kettle. Water temperature for this tea should be boiling (100ºC). Pour the boiling water into the teapot and let your tea steep for 10 to 15 minutes. 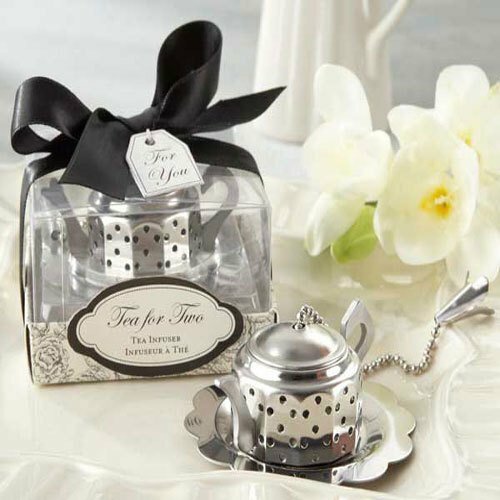 Strain your tea into a cup or mug. Before drinking you may want to sweeten it with sugar or honey. This tea has a bitter flavor that may be hard to get accustomed to, so try adding a squeeze of lemon juice to make it more palatable. If you are drinking this tea for bad digestion, take about 1 to 2 cups per day. For painful menstruation, the best time to drink this tea is a week before your period comes. Take about 2 cups a day to soothe those pains. You can drink about 3 cups per day for 4 weeks at the most, but due to the possible side effects that come with high dosages, you should start with a lower daily dosage and stop drinking this tea as soon as your situation improves. Each person is different and may react differently to this tea. There are herbs you can blend with wormwood to help soothe heartburn and irritable bowel syndrome, such as peppermint or caraway. Both these herbs have digestive healing properties and may even help to improve the flavor of your tea. Buy Your Wormwood Tea Today! Click on the image or on the link below to purchase from Starwest Botanicals your Organic Wormwood. 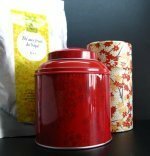 You can make your tea from cut and sifted wormwood herb or simple organic powder. Follow the instructions given by your doctor and you will be able to enjoy this healing herbal tea. Wormwood is a herb with a long medicinal history. Used with care, it can make a healing infusion that could be right for you. Have a soothing sip of tea!